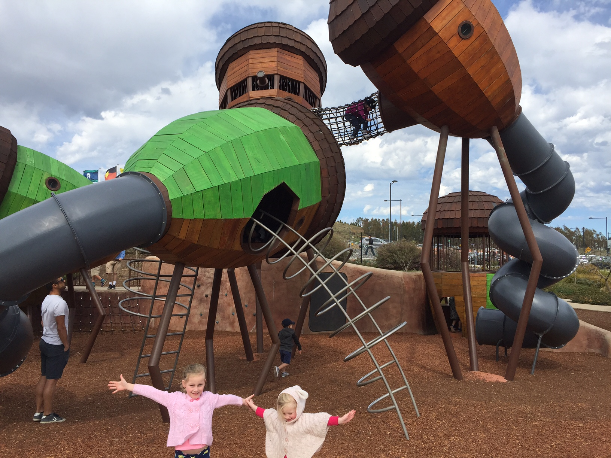 If you’re in Canberra, we highly recommend taking the tribe for a play at the National Aboretum Pod Playground. Check out what this amazing park has to offer. This playground is an architectural masterpiece and it was built to encourage the tribe to climb! 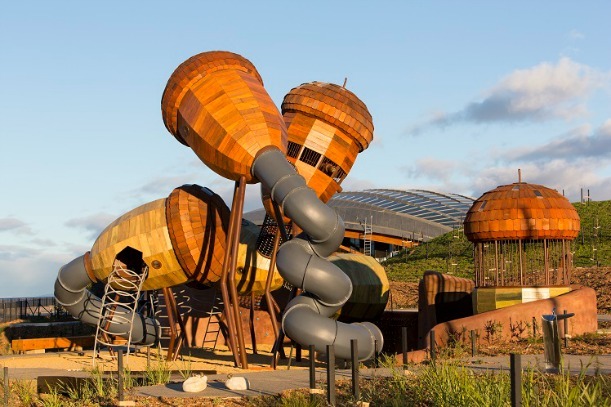 Unlike any other playground we’ve ever seen, this unique park features acorn cubby houses that are connected by net tunnels, and have climbing ladders and slides, one large and one for the smaller tribe members. 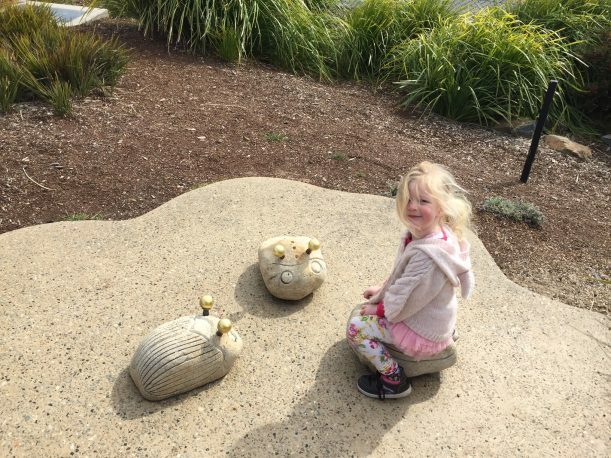 This park also features nest swings, banksia pods, and there is a cafe with a fabulous toddler play area including a sandpit, musical instruments and giant banksia cones. What age is it geared towards? The Pod Playground is fantastic for both younger and older kids. The toddler area is more of a sensory and exploring area with small pod cubbies and musical instruments. But older kids up to teens will love climbing up in the higher pod structures and navigating their way across the high up rope bridges connecting to other pods. How do I get to the Pod Playground? The Pod Playground is inside the National Arboretum in Canberra, located right outside the entry and information centre to the Arboretum. There is a cafe inside also for a bite to eat or lunch. To access the playground is free. There is plenty to do in Canberra with the tribe. Not far from the Arboretum you will find Cockington Green which is a miniature village and a must visit when in Canberra. Also near there is the National Dinosaur Museum. Other attractions include Questacon, Old Parliament House, the War Memorial, Parliament House, The Mint and the National Gallery of Australia. Want more ideas for fun things to do with the kids in Canberra?